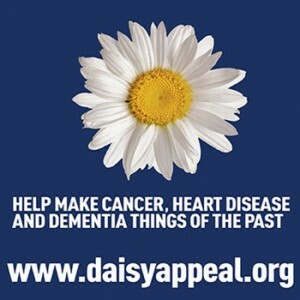 The Daisy Appeal is a locally based medical research charity currently raising funds for a world class comprehensive PET-CT scanning centre. The centre is based at Castle Hill Hospital and provides a clinical service and also facilities for research in what is an exciting and fast evolving area of medical imaging. Currently focused on cancer scanning, the charity aims to develop equivalent services for heart diseases and specific neurological diseases, including dementia. Working closely with the Chemistry department at The University of Hull it also has an ambitious programme for the development and trialling of new radiotracers. The appeal still needs to raise £2.1 million to complete the project. Any help that you can provide in terms of a donation or volunteer support would be very helpful. The ultimate aim is to develop a PET-CT scanning service of world class calibre of which we can be proud and which will enhance the care of our patients.